We are building the ultimate crowdcentric creative marketplace. Crowdfunding and crowdsourcing at Crowdzu, while completely different services, are not mutually exclusive. All our crowdsourcing verticals (Design, Photos, Music, Video and Fashion) work very similarly. If you are looking to source creative services, you have to decide on a prize amount, describe what you are looking for in a "brief" using our tools and forms and, when ready, launch the contest. Creatives who are part of the Crowdzu community will respond to the challenge and when the contest ends, you get to pick a winner. We do not charge Contest Holders to launch competitions on our platform but we take a small percentage of the prize money awarded to winning reatives. The Brands vertical provides an additional revenue source for filmmakers and other creative content producers. Maintaining our creative focus, we will have a Market vertical where Creatives can offer various digital assets like fonts, templates, and design elements for licensing directly to the public, and a creative Jobs vertical listing both short and long term vacancies. 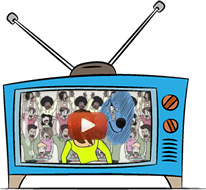 This video illustrates the concept behind Crowdzu. You can use Crowdzu's rewards-based crowdfunding vertical to raise money for creative, entrepreneurial, and social good projects. Just submit a brief pitch and once it is approved you can create your campaign and start raising money. We offer many tools not available on other platforms including capturing exact reward requirements like color and size at the time a pledge is placed. All funds raised by our crowdfunding campaigns are disbursed through Stripe Connect, so you have to have a bank account in one of the countries listed here to launch a campaign with us. You can use our Design vertical to prepare a brief of your requirements and launch a contest that reaches a global crowd of Creatives for many of the design services you may need. Examples include logos, packaging design, album and book covers, t-shirt design, illustrations and artwork for comic books and graphic novels, and uncoded website design. All rights to any original winning work are transferred from the Creative (graphic designer) to the Contest Holder once the prize money is collected by us and assigned to the winning Creative. Our Photos category also follows the brief-based contest model. This means that Contest Holders can describe the types of images they are looking for and set prize amounts rather than having to pay fixed licensing fees and having to go through a library of hundreds of pictures. The Photographer/Creative will retain all rights to winning photos and will simply grant the Contest Holder royalty-free usage rights. Photos in all types of categories and of varying specifications can be sourced in this manner. Contest Holders in the Music category can source songs or musical arrangements, instrumental pieces, and sound effects for use in films, television shows, online or private videos, video games and more. As with our other crowdsourcing verticals, the Contest Holders can set prize amounts for these Music contests. The winning Musician/Creative will continue to own all rights to the musical composition and will grant the Contest holder a royalty-free usage license. This vertical is a blend of the Design and Photo/Music category. If pre-existing work is licensed, ownership will remain with the Creative. If original work is created in response to a contest, the winning Creative will transfer all rights to the work to the Contest Holder. You can use Crowdzu's Video vertical to source all types of short live-action or animated videos. Typical uses of this vertical would be for crowdsourced commercials, music videos, film credits, explainer and training videos. The Fashion vertical is an extension of the Design category. Unless otherwise agreed, winning Fashion Designers will transfer all rights to the Contest Holder. Fashion contests may be used to source one-of-a-kind occasion wear and accessories, costumes for film and stage productions and seasonal lines for fashion houses and garment manufacturers. In addition to raising money for their projects through crowdfunding, filmmakers and other content producers for big and small (television, web) screens can raise additional funding through our Brands vertical. Both Creatives and Brand owners can list their Product Placement/Brand Integration opportunities here that can be described through storyboarding or textually. This is a marketplace where Creatives can offer their digital assets for licensing or sale at prices set by the Creative within ranges specified by Crowdzu. Such assets can include fonts, logos (including non-winning logos from Crowdzu's Design contests), music loops, etc. The is a listing of Creative Jobs only, similar to the ones that fall within our crowdsourcing verticals. The listings can be for long-term/permanent positions or short-term gigs. Jobs can be full-time or part-time, in-house or involve telecommuting. What are you waiting for? Join the Crowdzu community today!